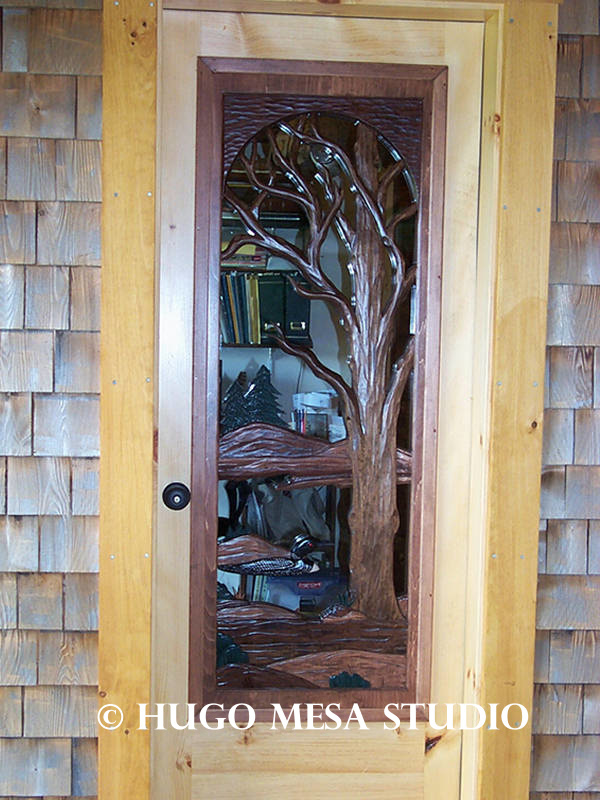 Double doors can be spectacular entryways for any home. 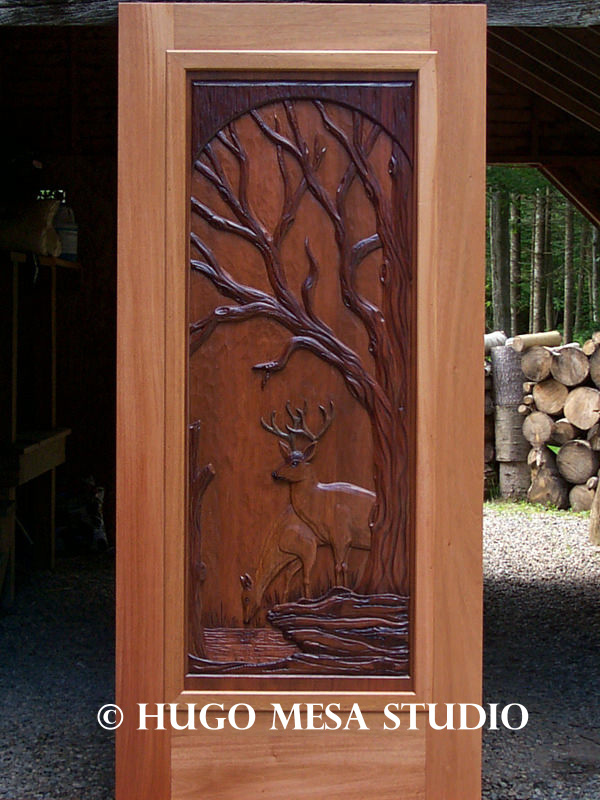 When combined with side light panels and/or overhead light panels, they create a large and profound visual enhancement. 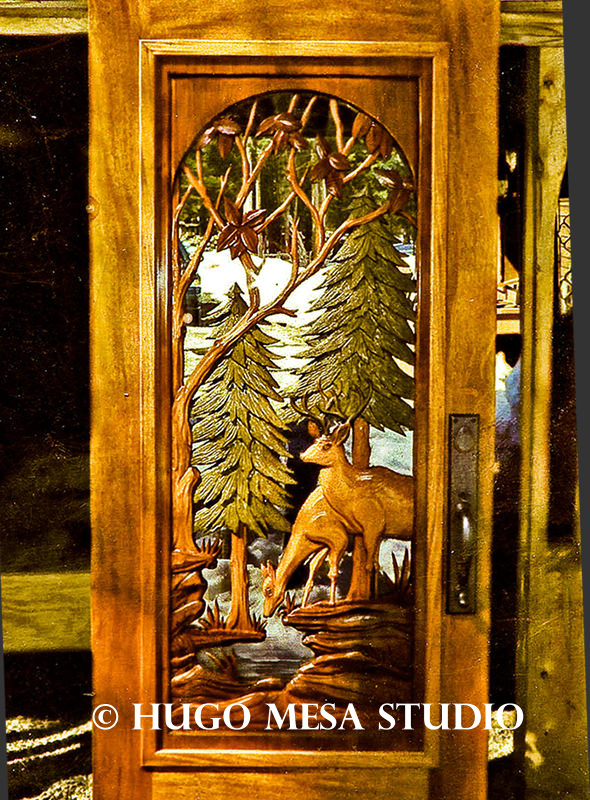 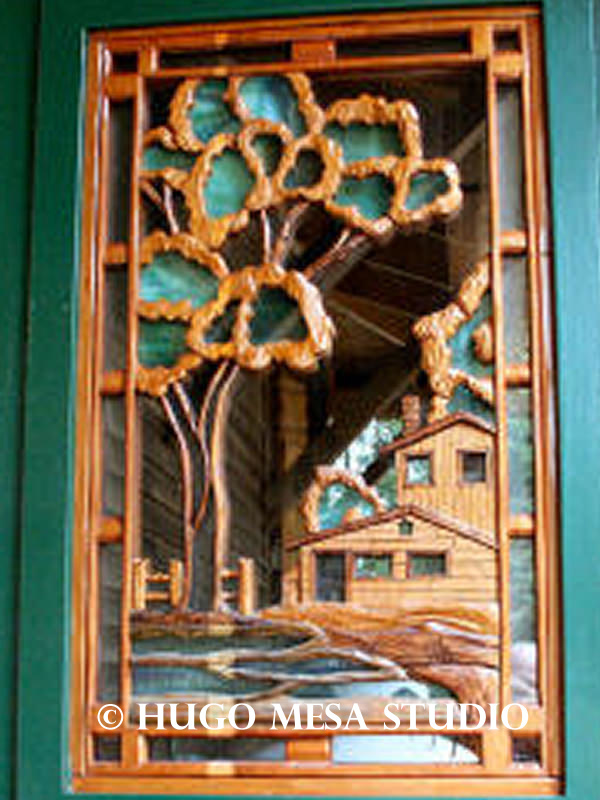 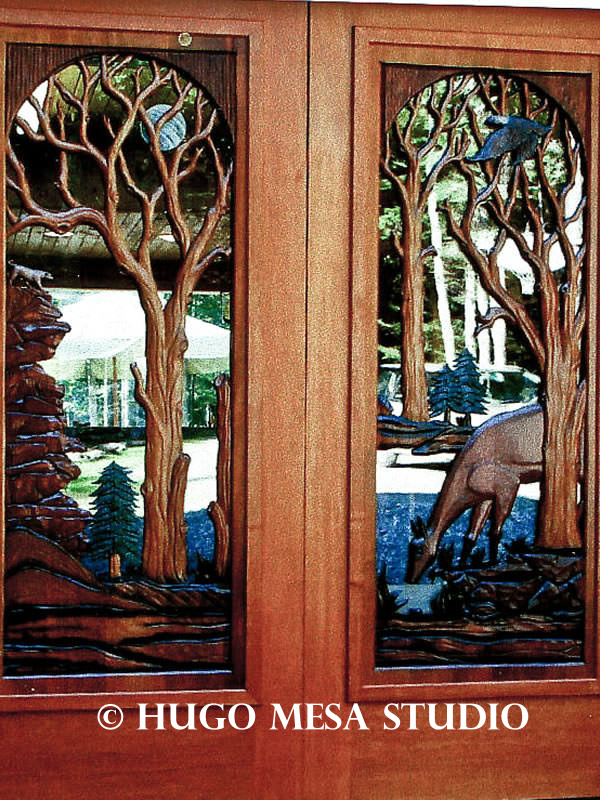 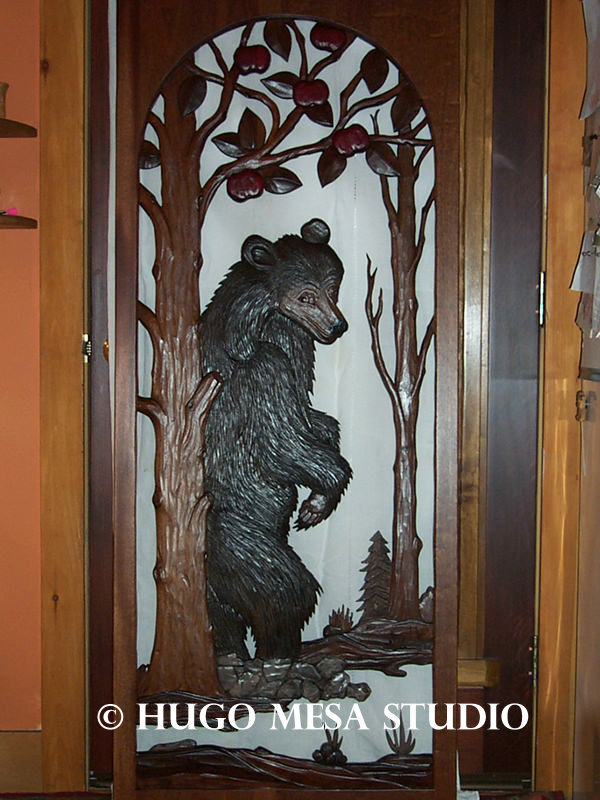 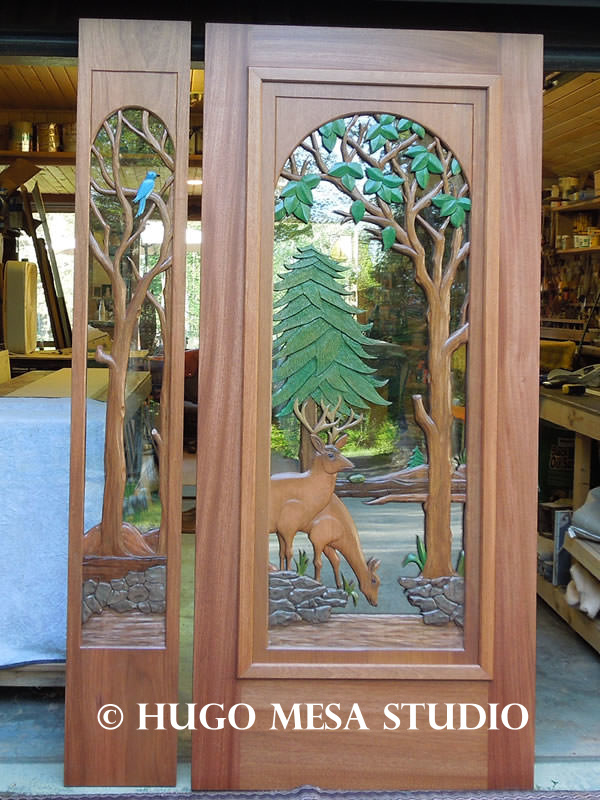 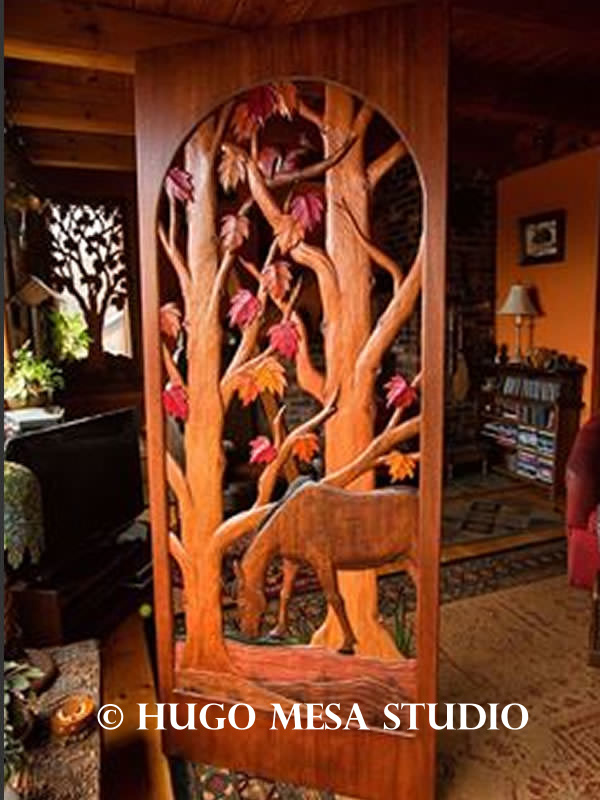 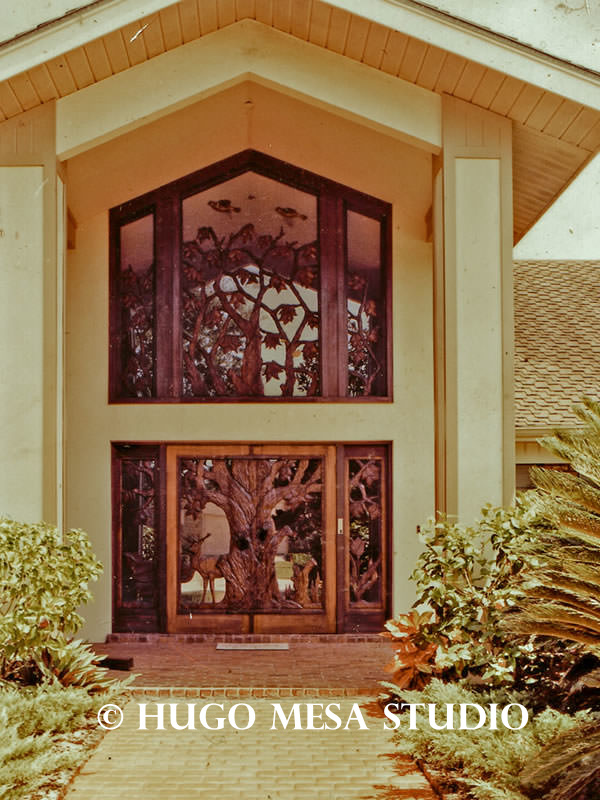 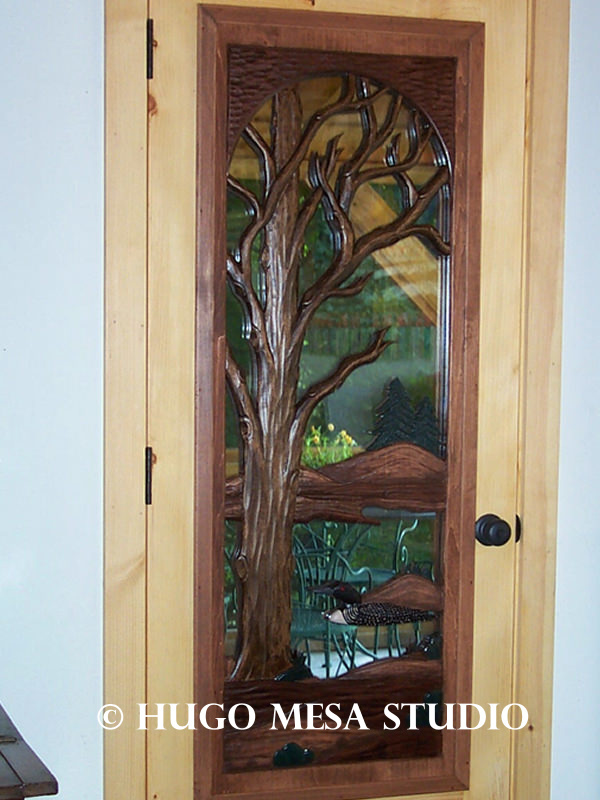 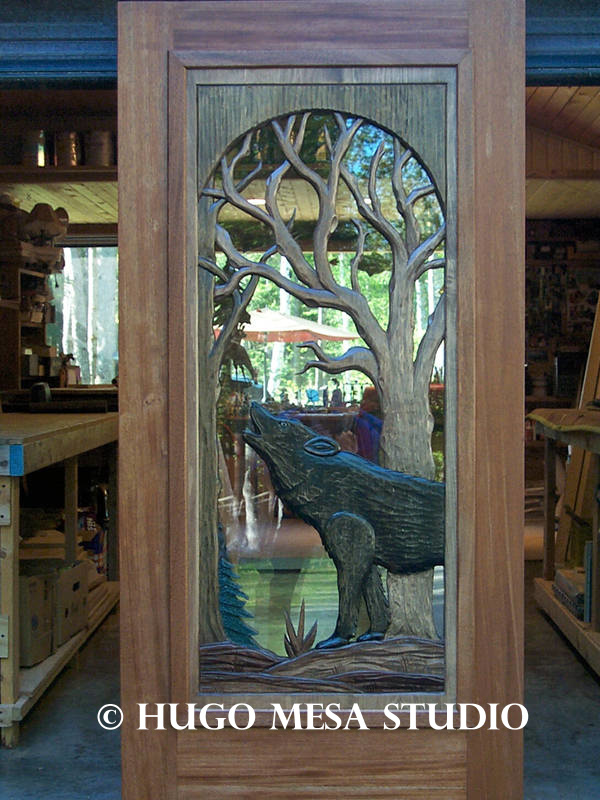 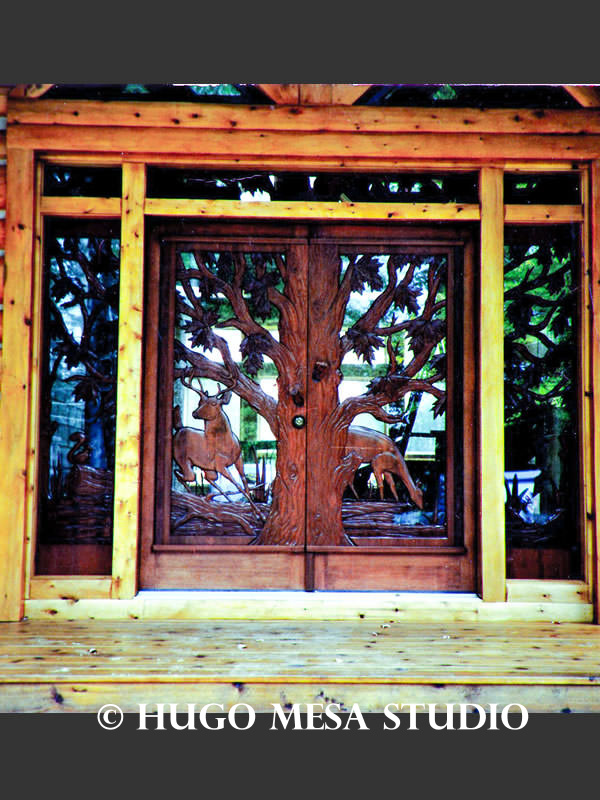 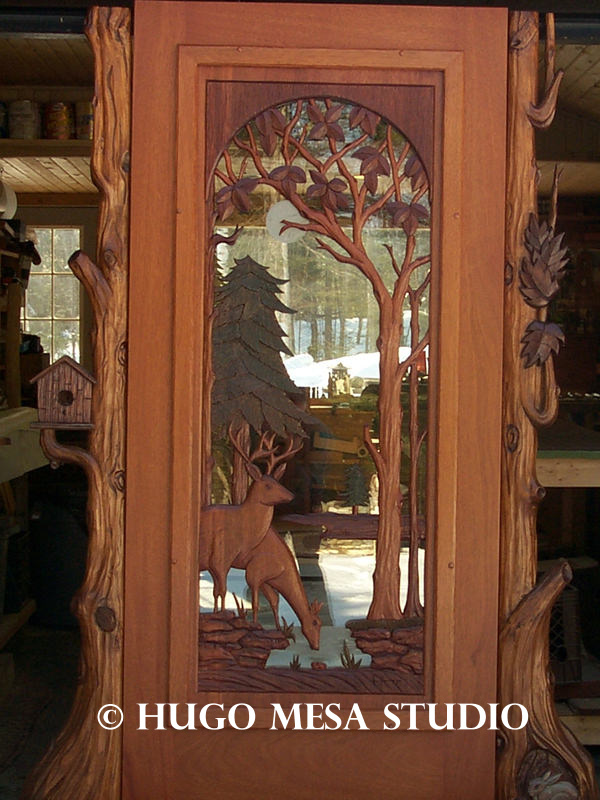 Doors made with wood and glass , and carved on both sides continue to act as a work of art from inside the house as well. 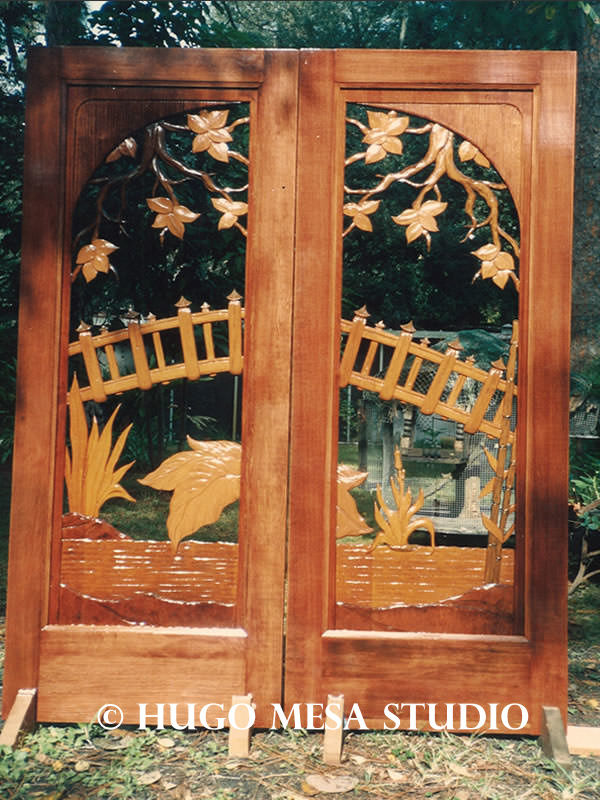 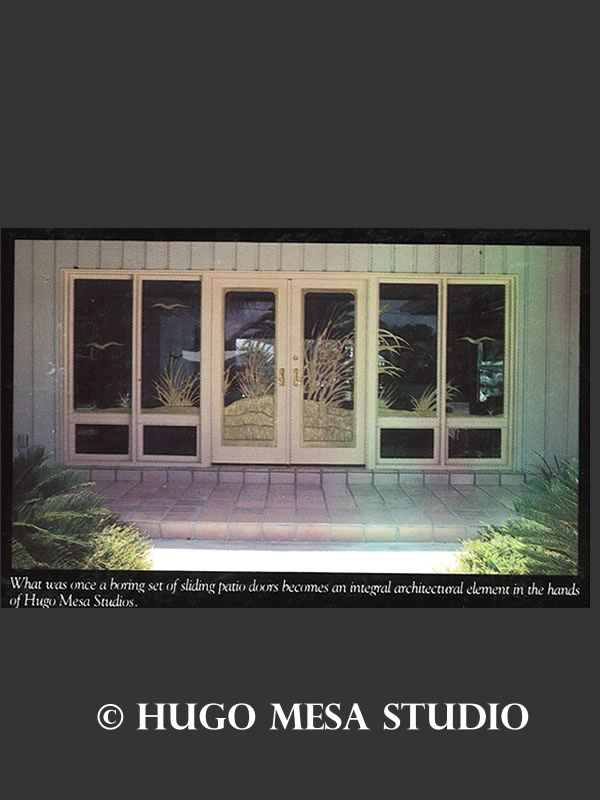 *All exterior doors are made from Mahogany, the finest to use for exterior. 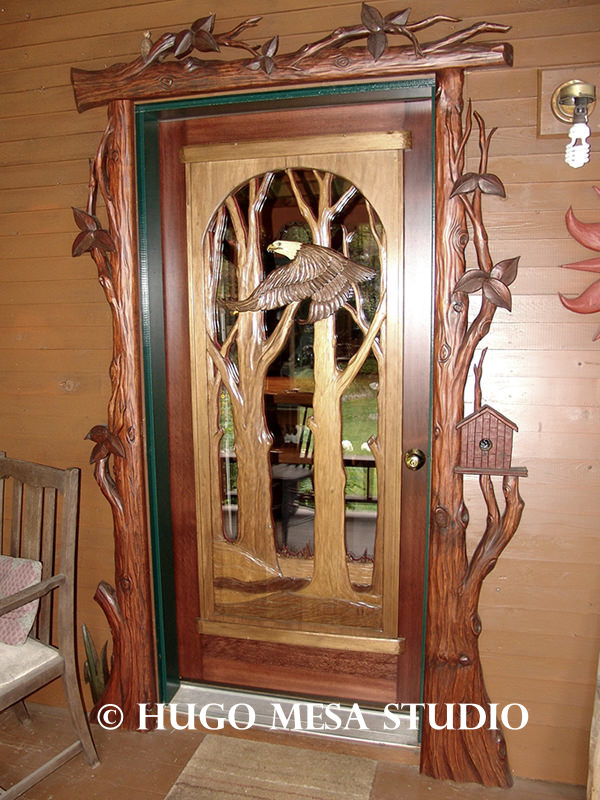 Single doors also offer a unique and inviting entryway. 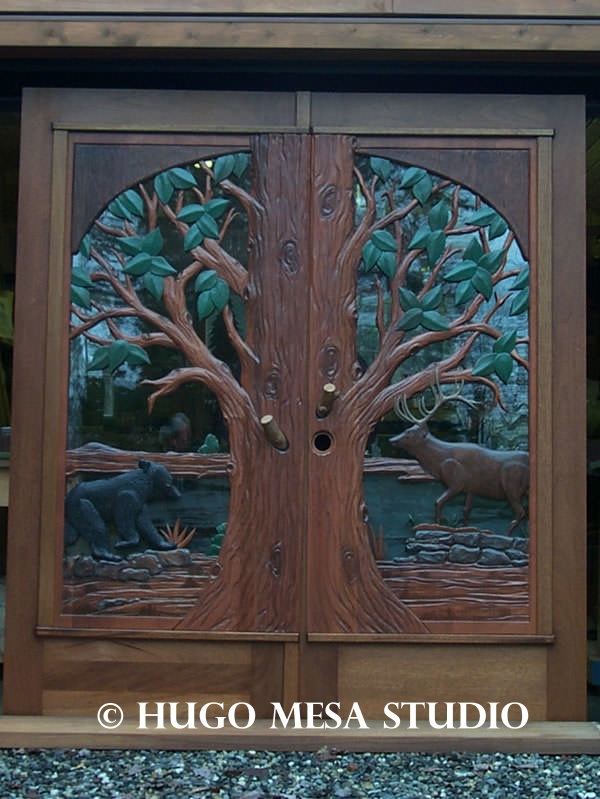 Each door is custom designed with the client to create or enhance the home. 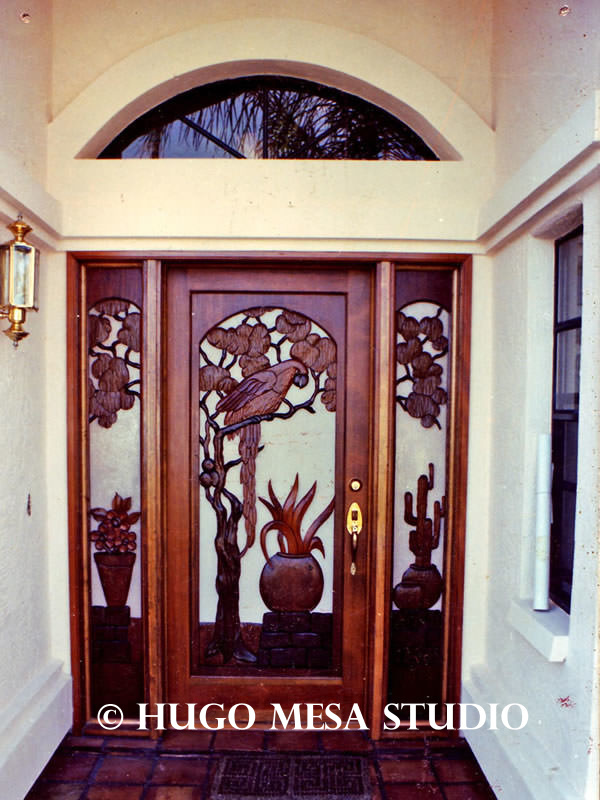 A single door accent can provide a theme for ones home, enhance an already existing style, or simply make you feel proud upon greeting people into your home. 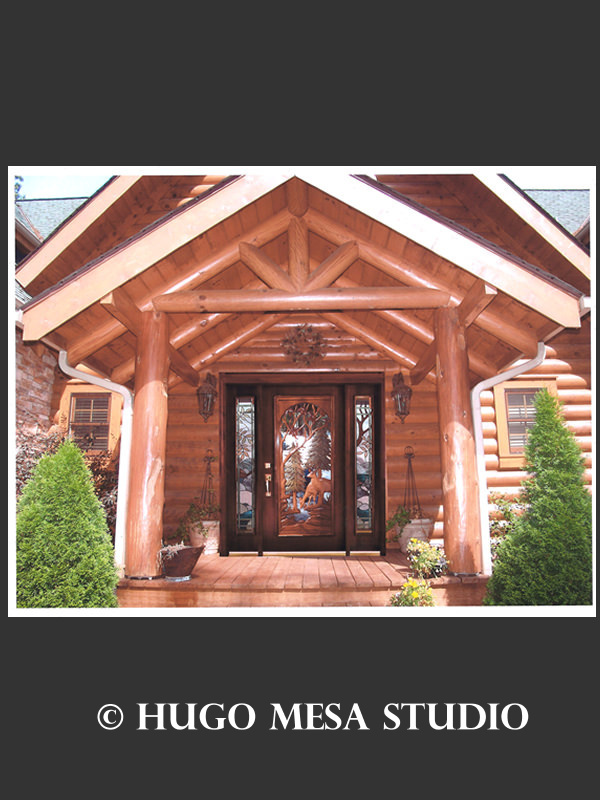 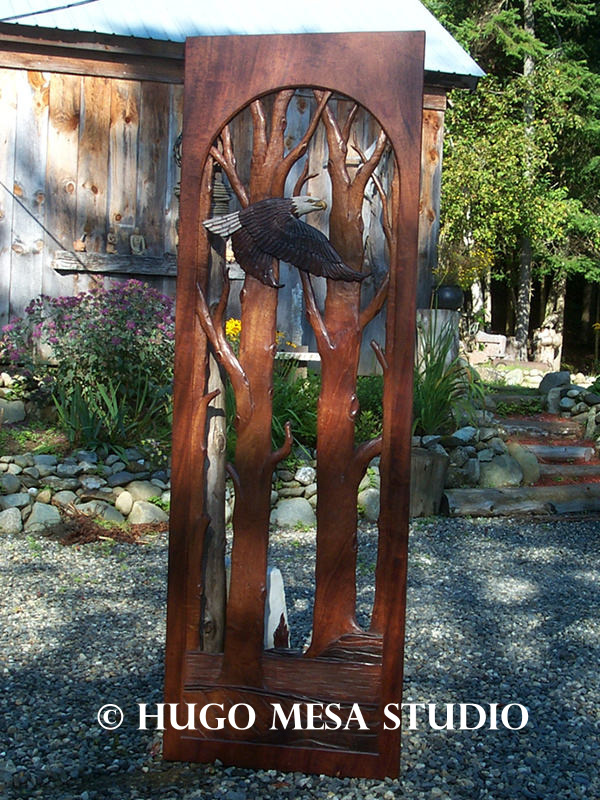 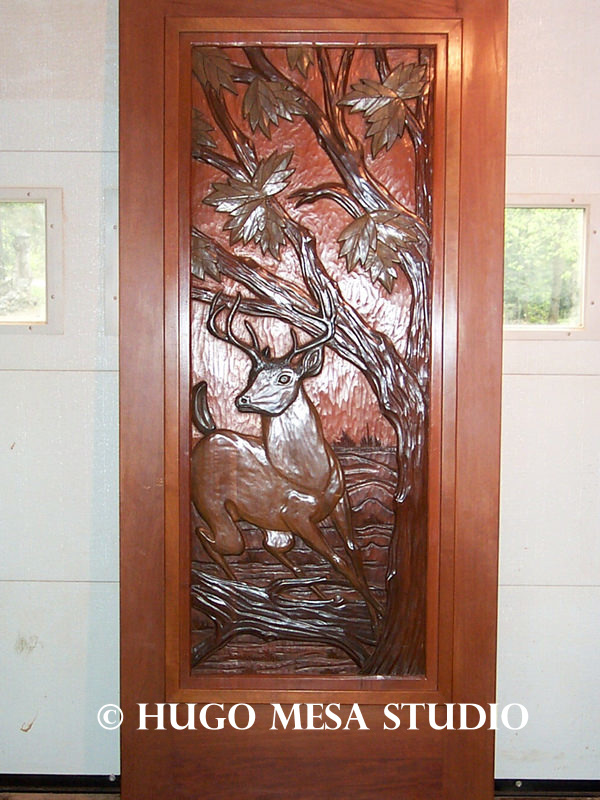 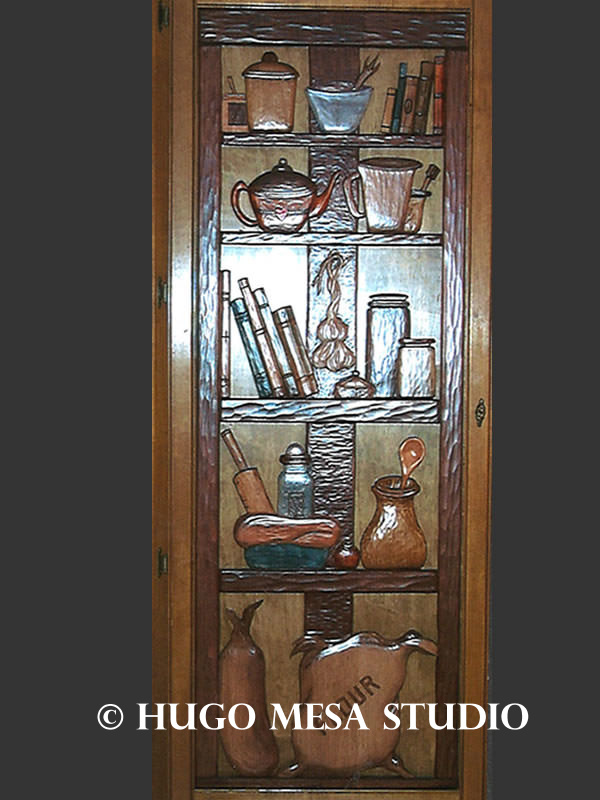 Custom carved inserts are another entryway option for your home. 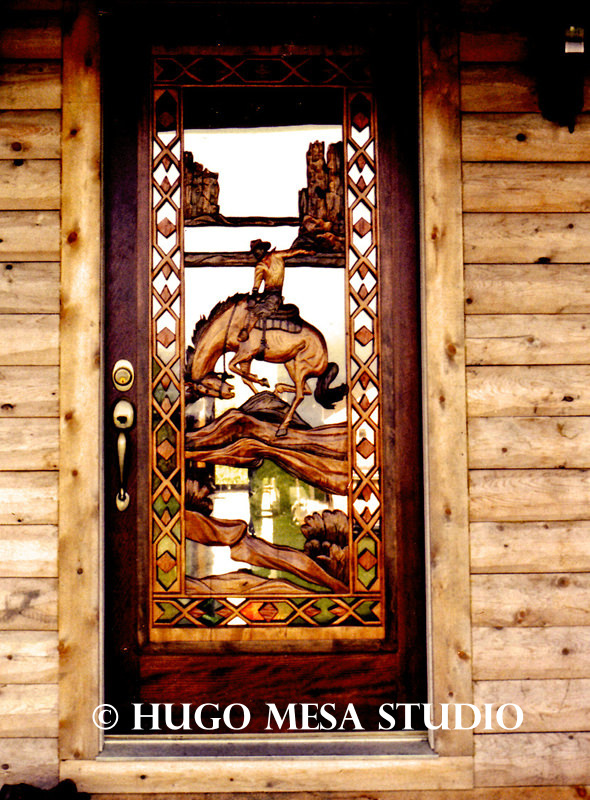 Inserts are made to fit any standard wooden, steel or fiberglass door/frame They provide unique, one-of-a-kind craftsmanship with easy installation into your already existing door. 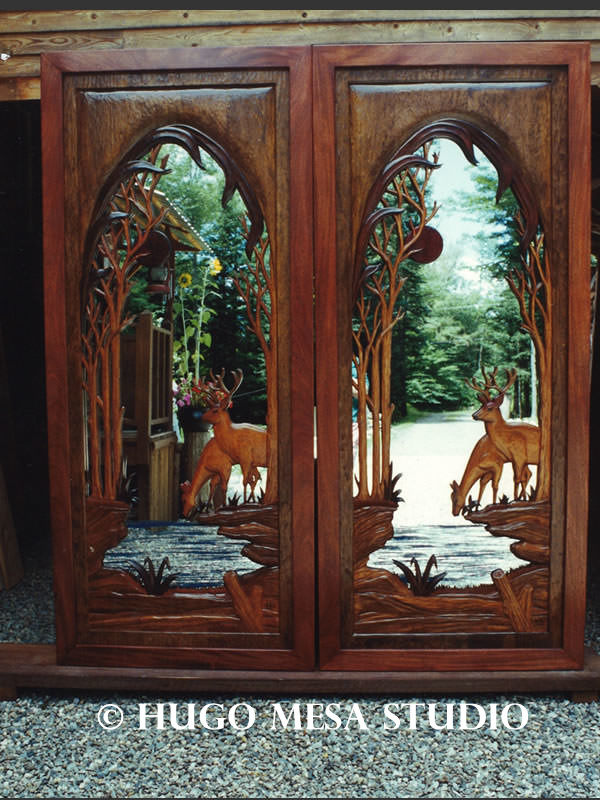 Hugo also creates custom carved inserts for cabinet doors, providing the opportunity to expand your design possibilities into the home as well.